The primary motivation behind this three-story addition and whole-house remodel was a desire to comfortably “age in place.” Our clients felt very rooted to their location; however, they worried about the accessibility of their three-story home. 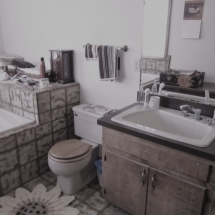 One of their biggest concerns regarding safety and comfort was their master bathroom. It was small, out of date, and didn’t suit their current needs, let alone meet their future requirements. 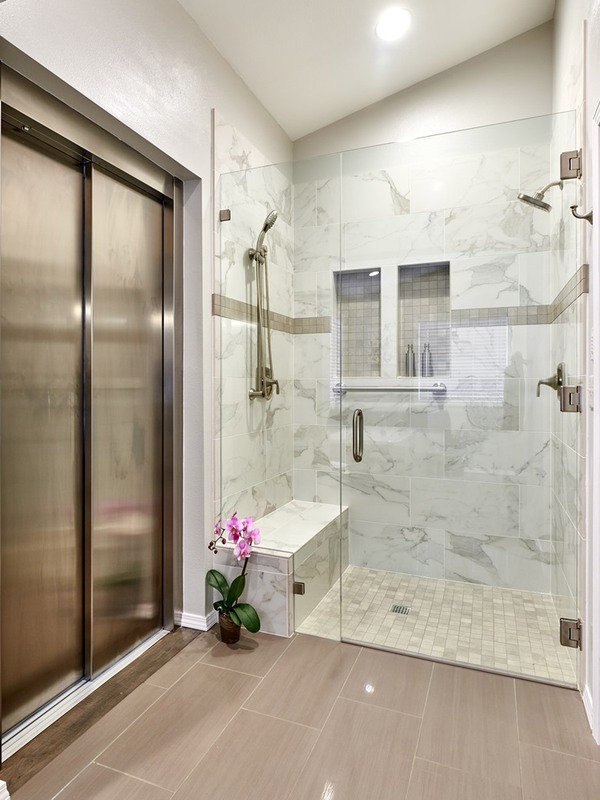 The solution was a three-story residential elevator, and as it turns out, the best location opens into a beautiful new master bath with a walk-in shower and separate Jacuzzi tub. It’s a little unconventional, but our clients love it and it precisely suits their needs. 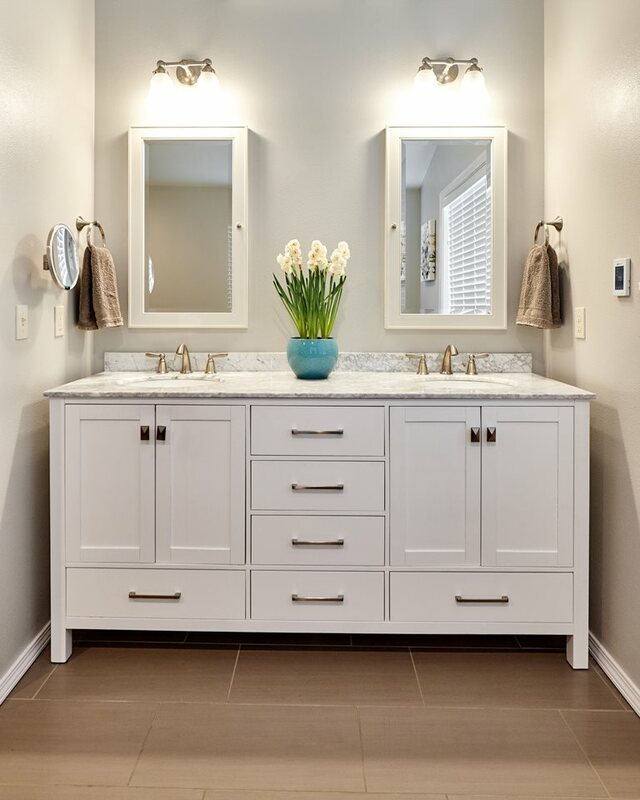 The formerly cramped master bathroom was transformed into the elevator shaft, and the added space from the addition provided space for everything they needed in a new master bathroom. “Aging in place” has become a major motivation for residential remodeling. Homeowners don’t want to be forced to move as they look toward the future, but may not have everything they need to be comfortable in their home, especially if isn’t a recent build. 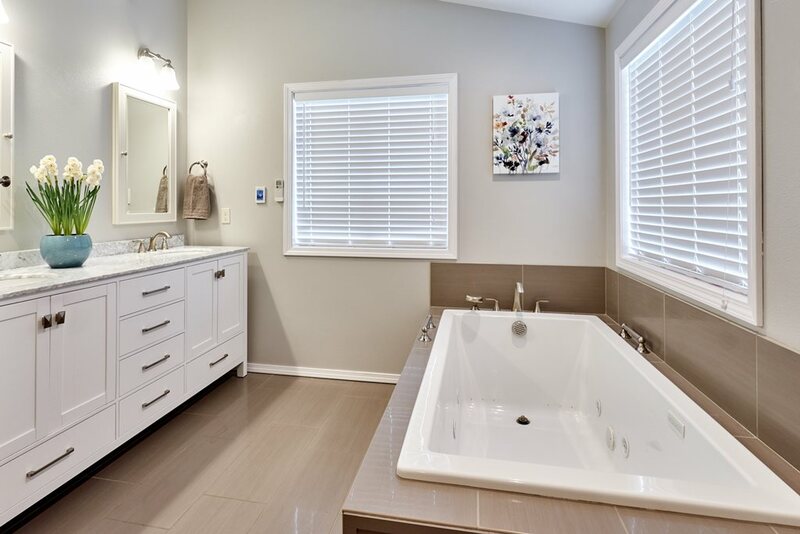 For this bathroom, we chose a walk-in shower, which means there is little to no change in elevation from the tile floor to the shower interior. 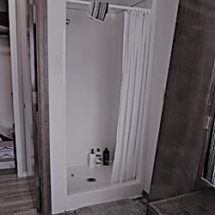 We also incorporated a bench and grab bars into the shower itself, with the showerheads on either side giving the option to either sit or stand comfortably. There are also grab bars on the sides of the Jacuzzi tub, allowing more leverage getting in and out and reducing the chance of falling. Other small details, such as the heated tile floor, increase the overall comfort level for our clients.